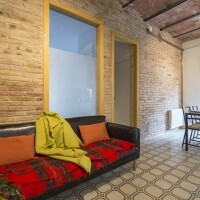 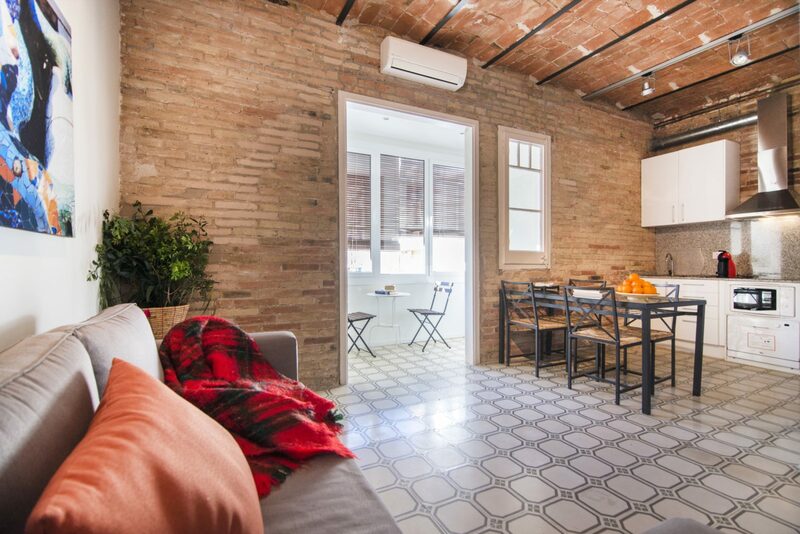 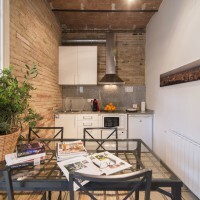 Happy People – Sagrada Familia Sant Pau apartments have a privileged location. 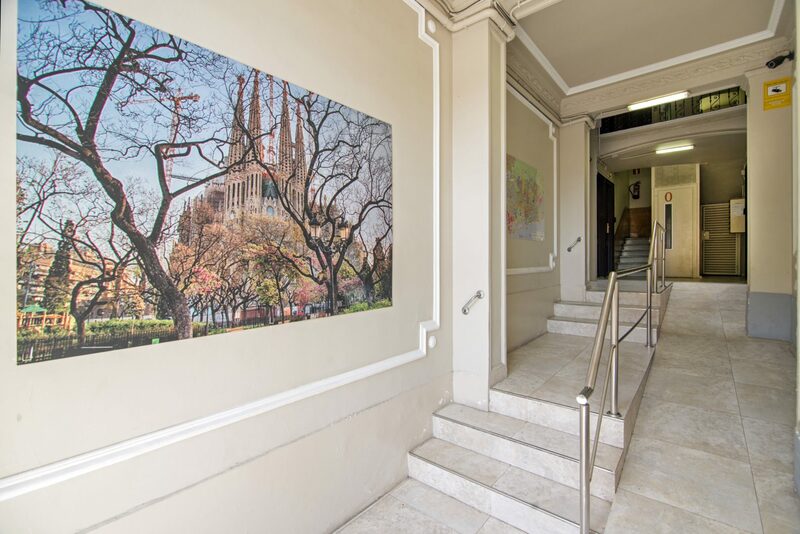 From your apartment you can stroll to the Basilica of La Sagrada Familia through the Av. 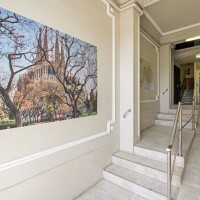 Gaudi boulevard or walk within three minutes to the Hospital de Sant Pau, a jewel of modernist architecture and the largest construction in Europe. 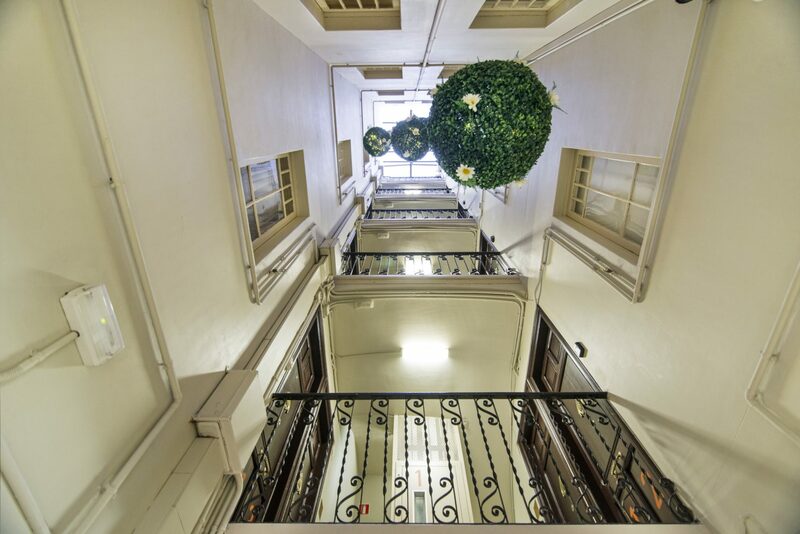 Inspired by the artistic movements of Noucentisme and Modernism, the building dates from 1925. 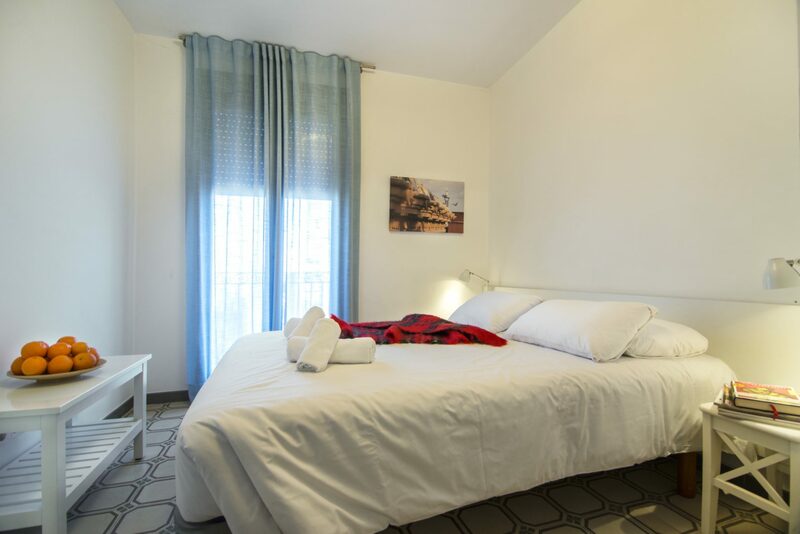 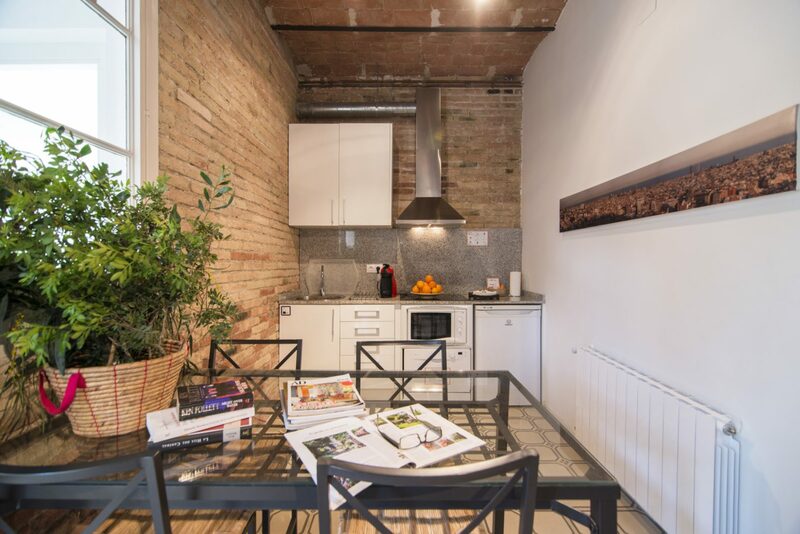 Recently refurbished in 2014, the apartments are modern, cozy and bright. 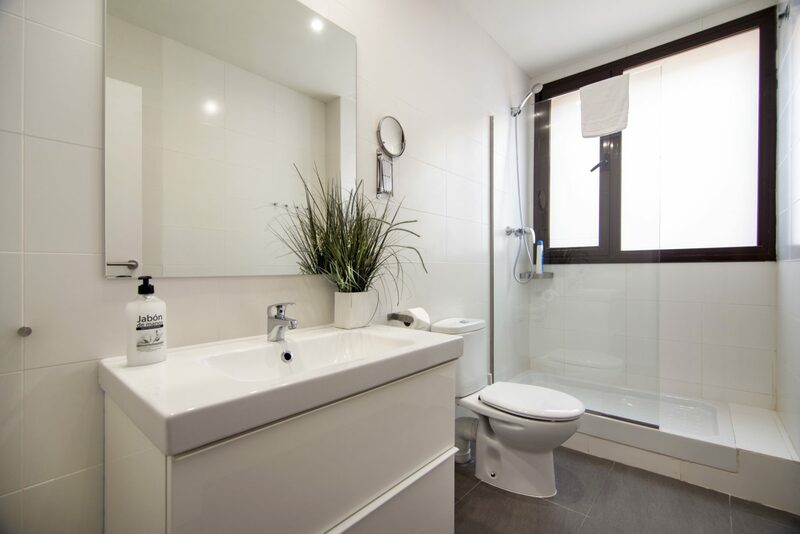 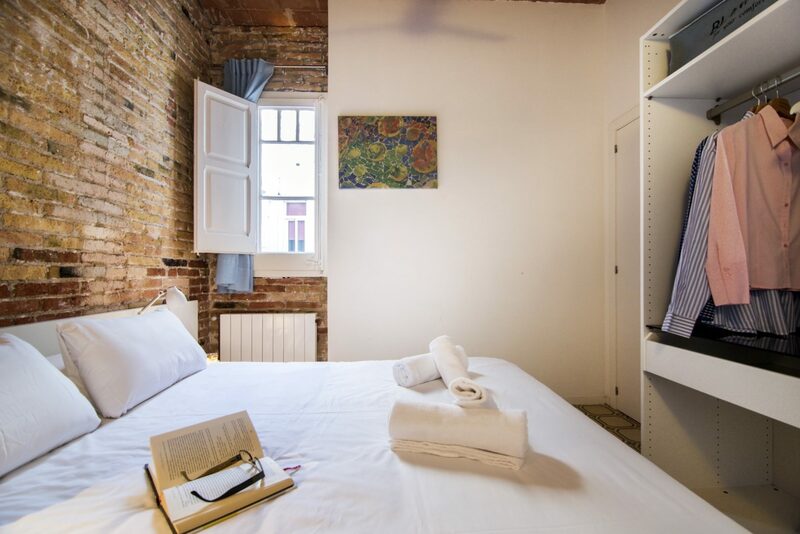 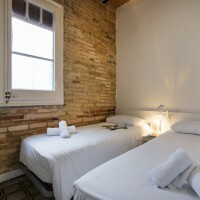 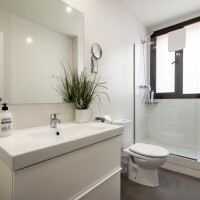 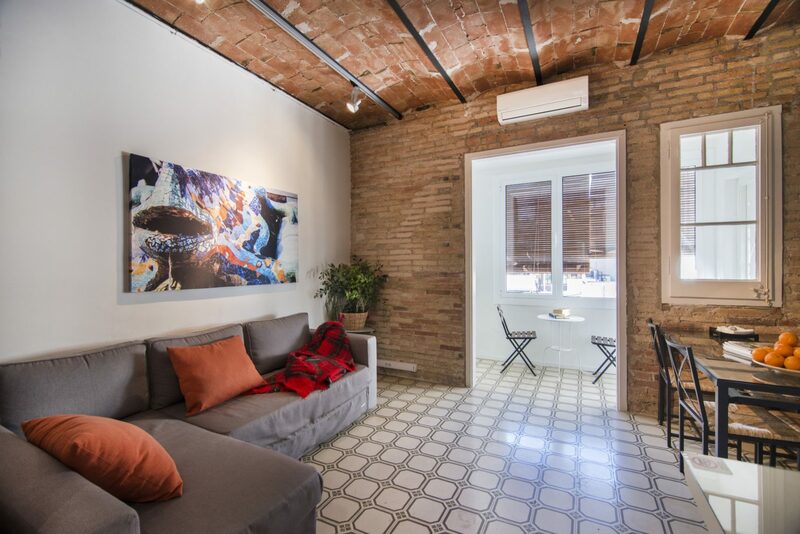 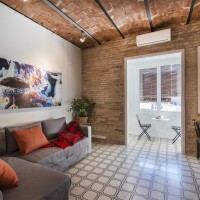 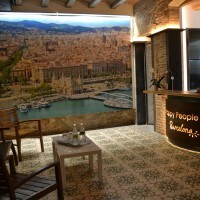 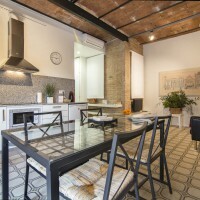 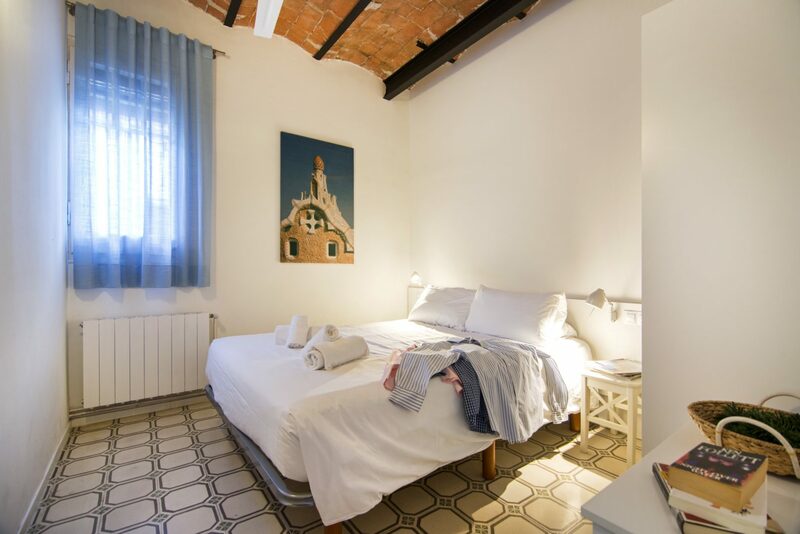 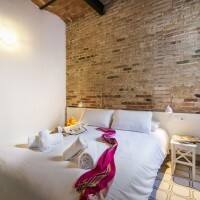 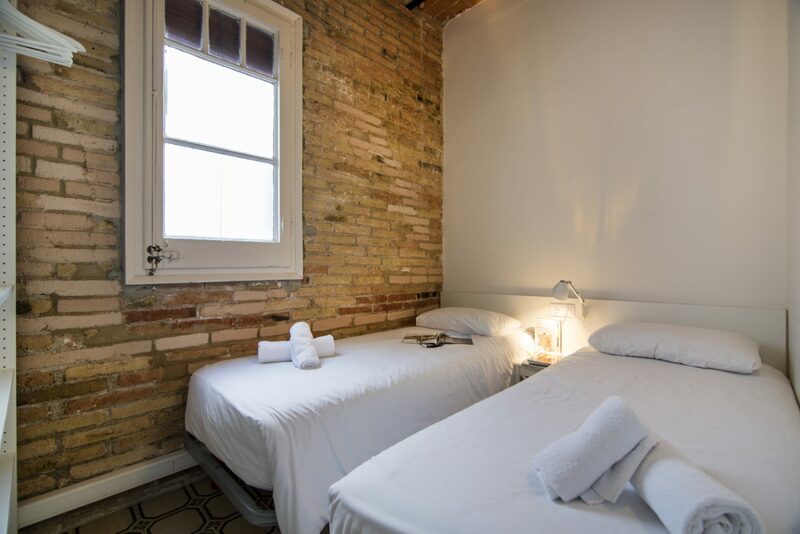 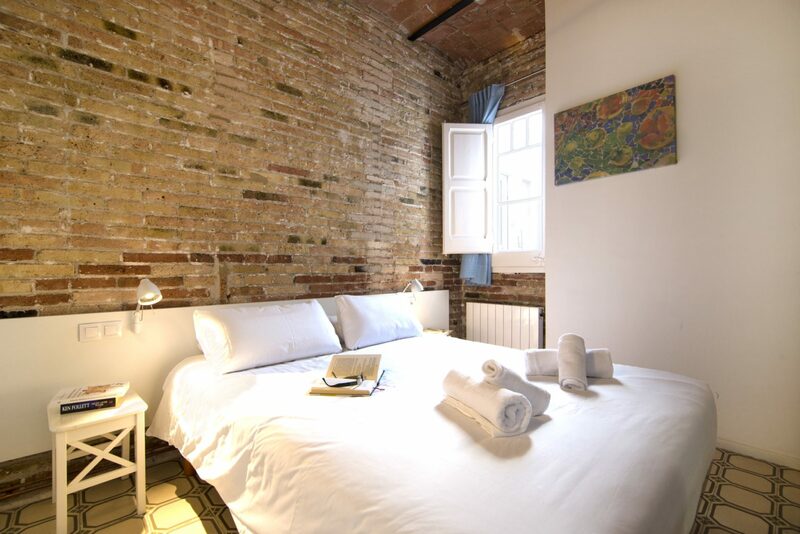 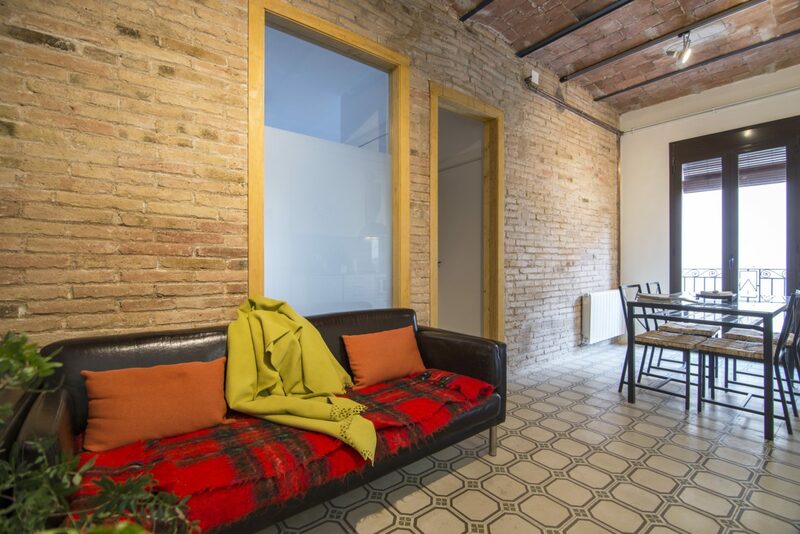 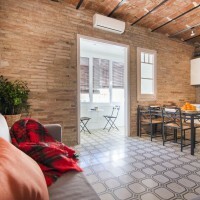 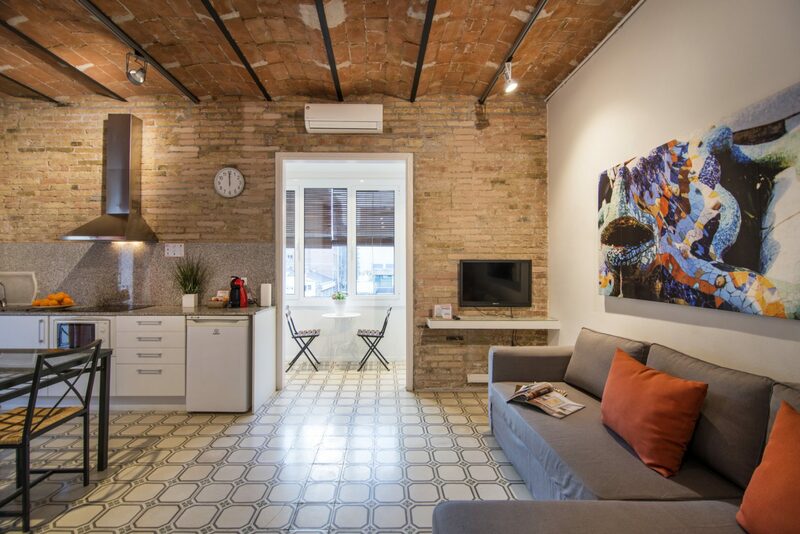 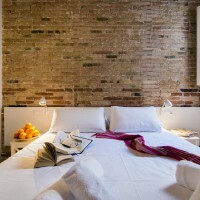 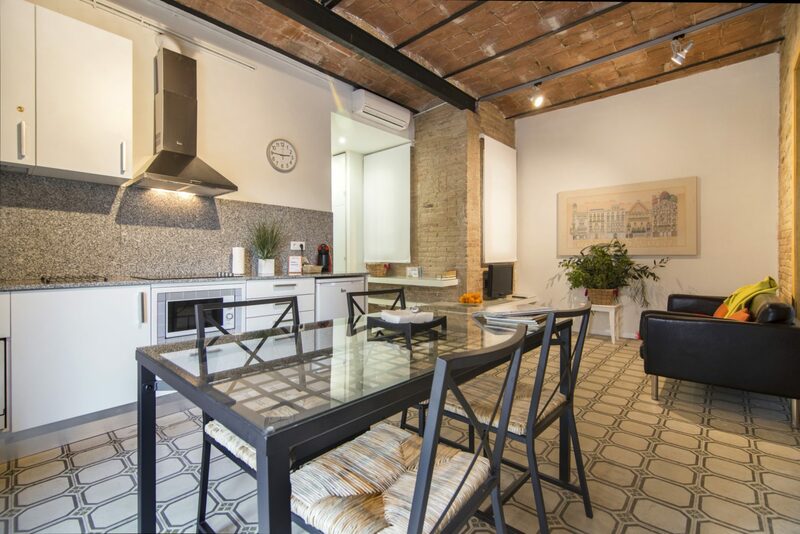 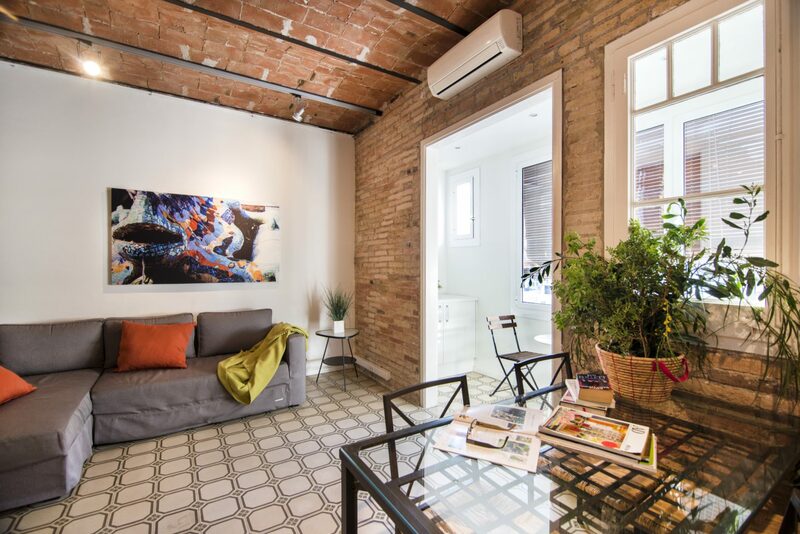 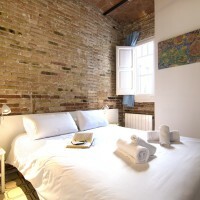 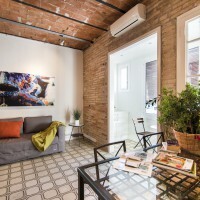 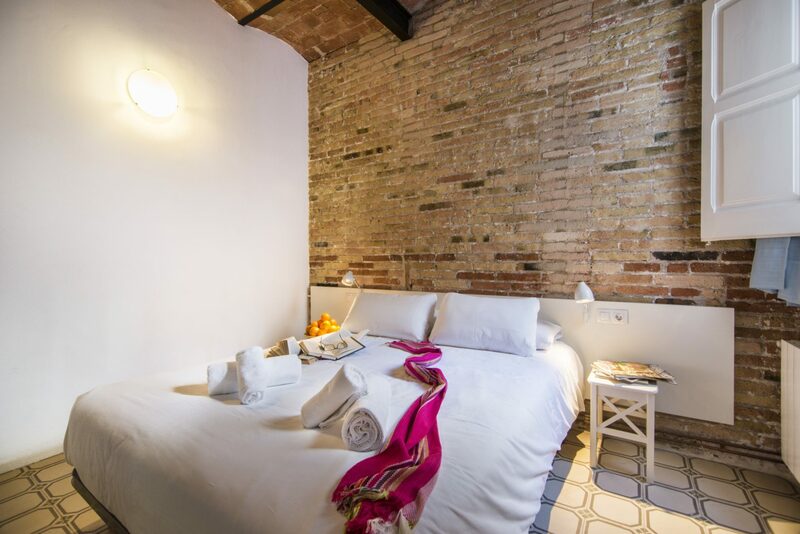 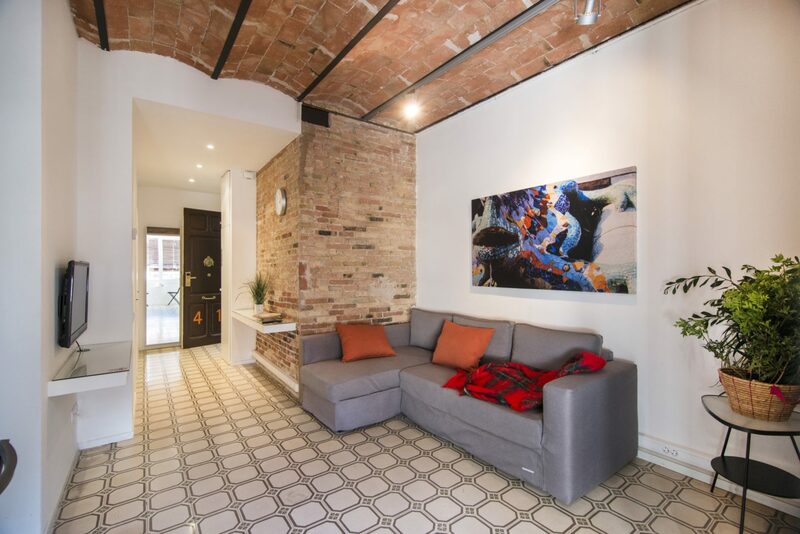 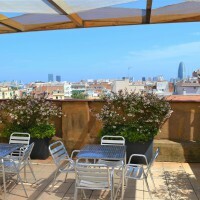 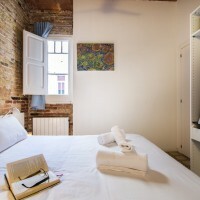 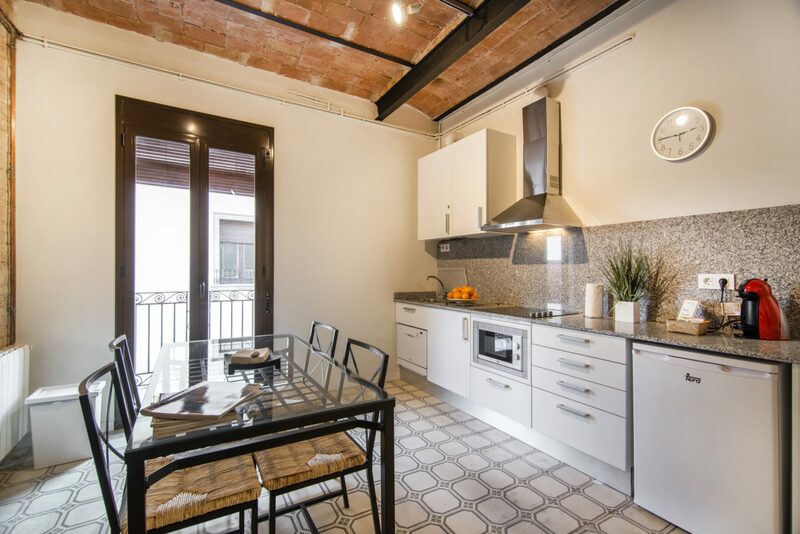 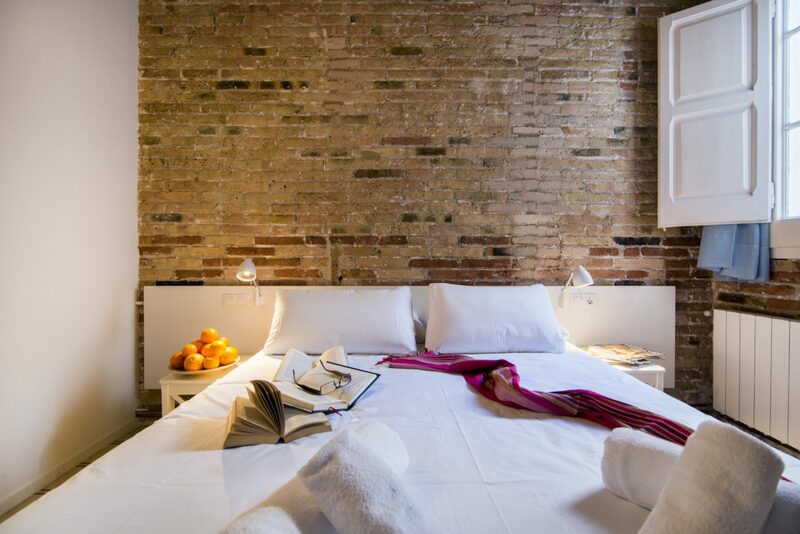 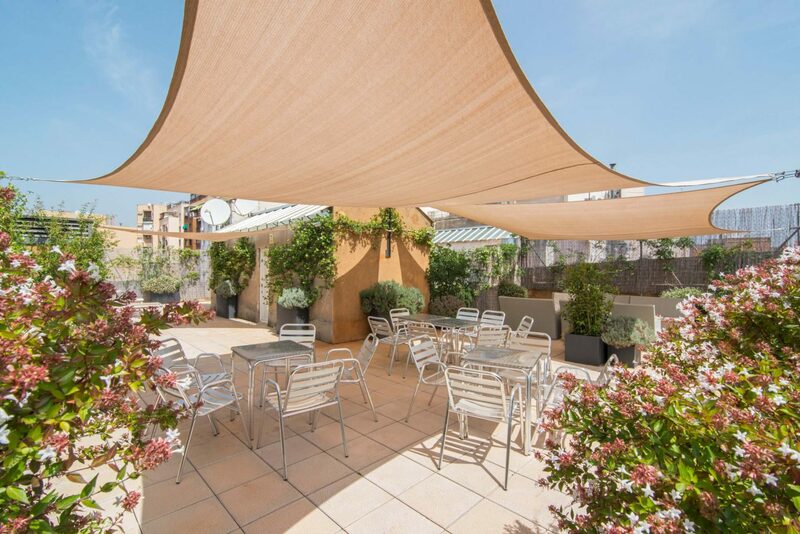 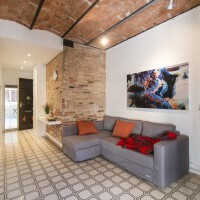 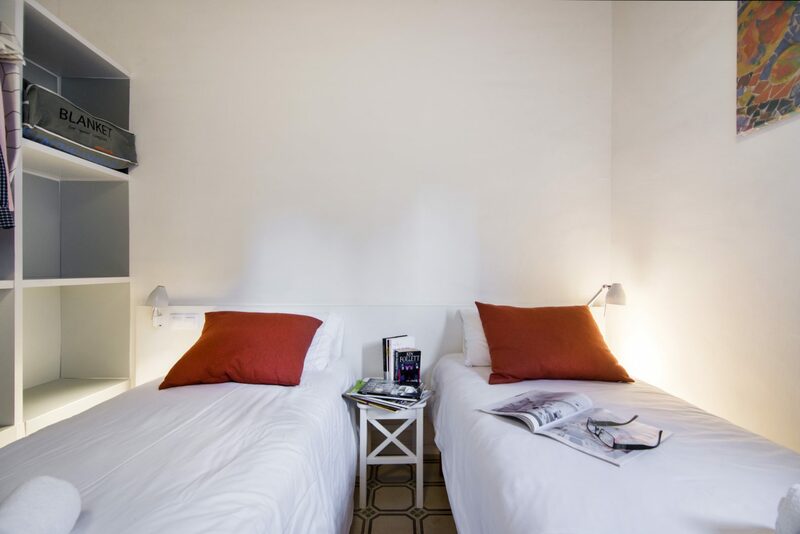 They feature large windows and/or balconies, high ceilings, exposed brick walls, floors with hydraulic mosaic, a beautiful modernist entrance, an inner courtyard patio, a skylight that sheds natural light to every floor… They offer all the facilities you might need for a happy stay in Barcelona. 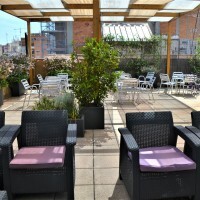 The building’s greatest treasure is the rooftop and its chill-out terrace. 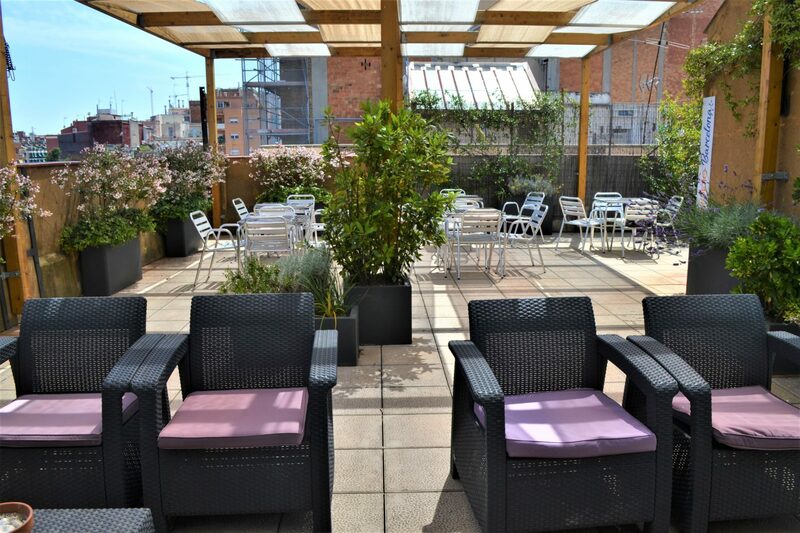 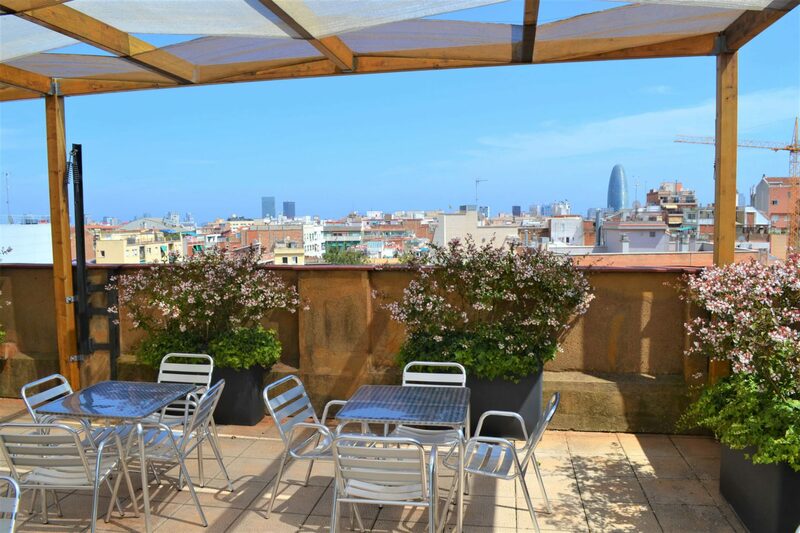 You will find a magnificent view of the city’s skyline, a solarium and a chill-out area. 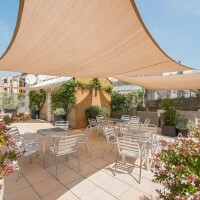 It is ideal to relax, read, sunbathe, rest and take a break in between visits. 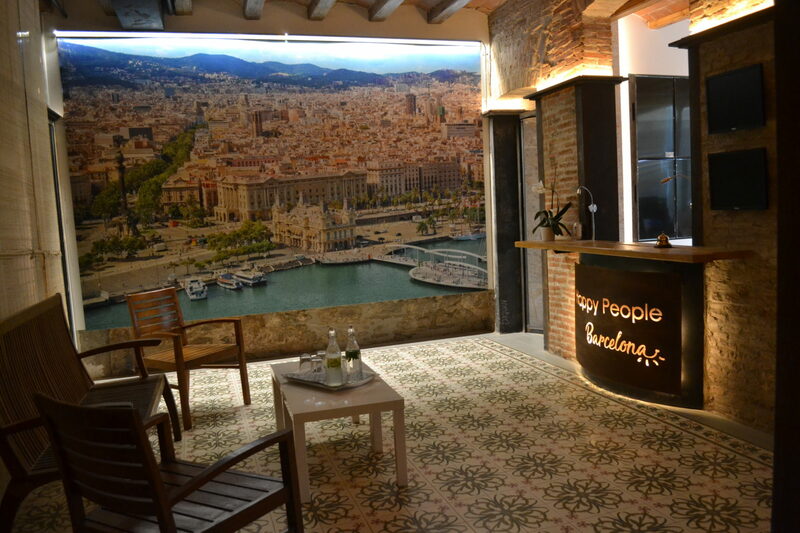 So enjoy it ! 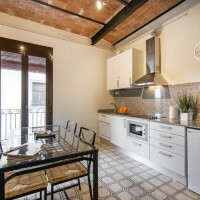 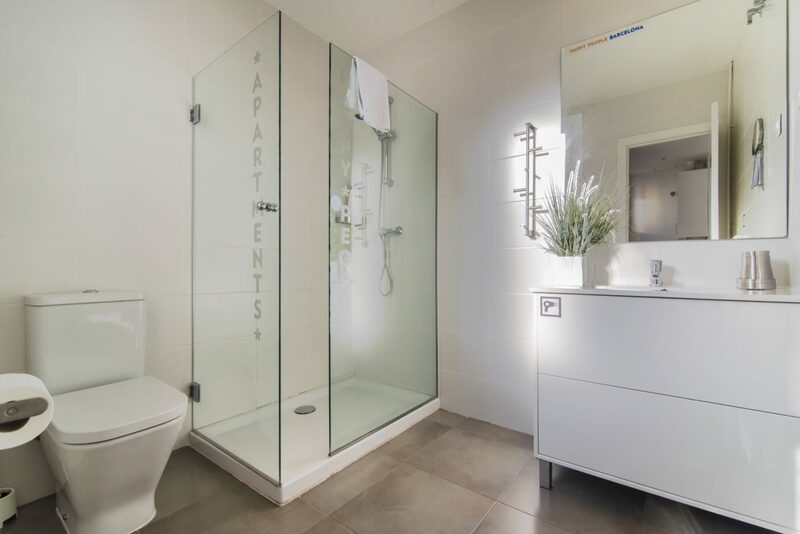 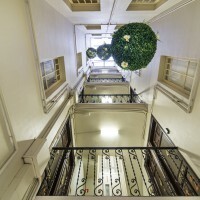 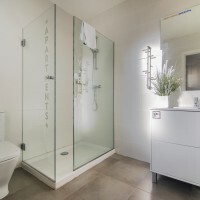 The apartments feature two bedrooms (a double and a twin) for up to four people. 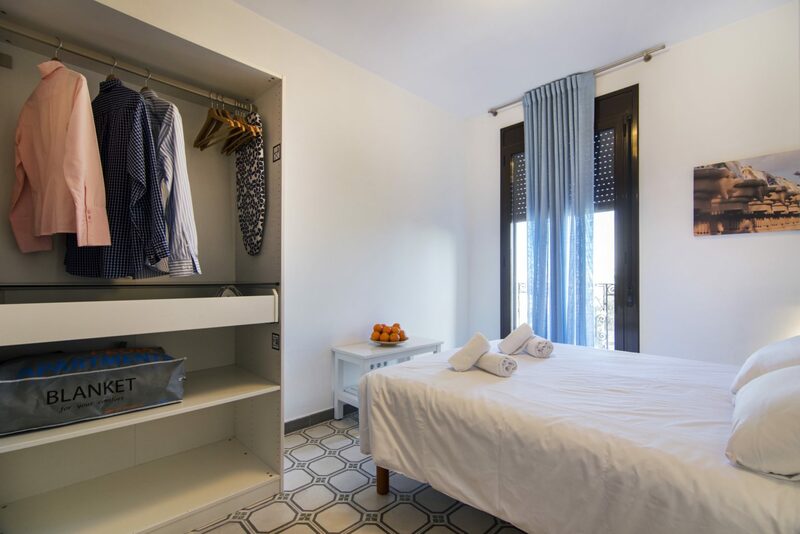 Choose between an apartment with balconies overlooking the playground square or a quieter apartment facing the mountain side. 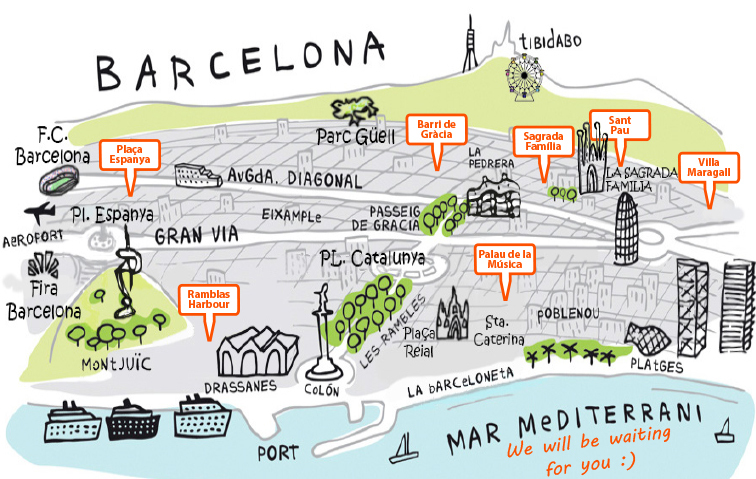 Because we care… we own the property.